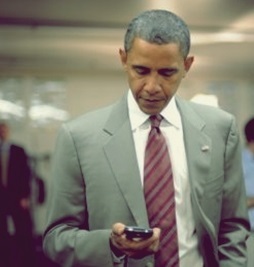 Barack Obama … soon the last Blackberry user ? The fact is that if he does continue to use it, he could be, in the not so distant future, the only remaining Blackberry user. And that is sad. Sad because I used to have one before switching to a Nokia E71/72 in 2008 and then to Samsung in 2012. I liked the 'berry back then and its side wheel. But clearly the world is moving on. We ran a survey with our AVAST users in December and among other things asked them which smartphone brand they have and IF they were considering buying a new phone in the next 3 months WHICH brand would it be. Blackberry has just lost it. It had the lowest loyalty among all mainstream smartphone brands. While 76% of iPhone users say their next purchase will again be iPhone, Blackberry will hold on to only 28% of those surveyed – as the majority will switch to Samsung (37%) and iPhone (14%). As it was, Blackberry had only 1.6% market share in December. Losing 72% of your users with every replacement cycle leads to “being history” quite fast. I actually hope Blackberry would fix that.